Matt Lauer says his sitdown with Ray Rice‘s wife was “great” — but it's clear he doesn't want to give too much away … because he just bobbed and weaved like Muhammad Ali! 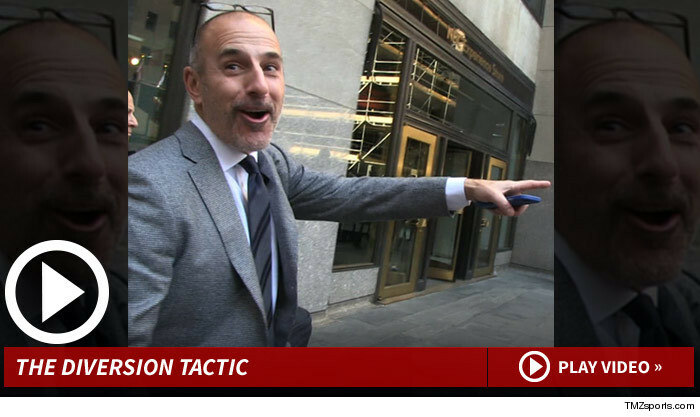 Matt was heading over to 30 Rock in NYC this morning when he acknowledged the interview was in the can. But watch the deflection technique … Matt knows the golden rule when it comes to promoting a big interview — no one's gonna buy the cow if he gives away the milk for free.